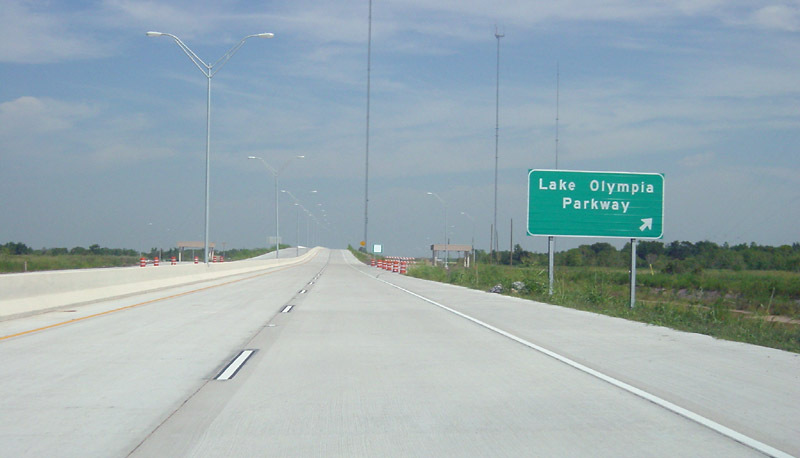 The section from Beltway 8 to SH 6 opened August 30, 2004. 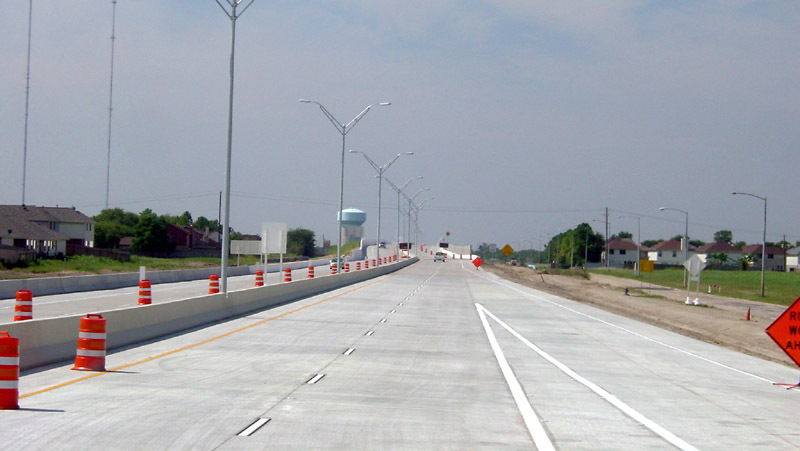 The section from Beltway 8 to US 90A is under construction and should open in about 6 months. 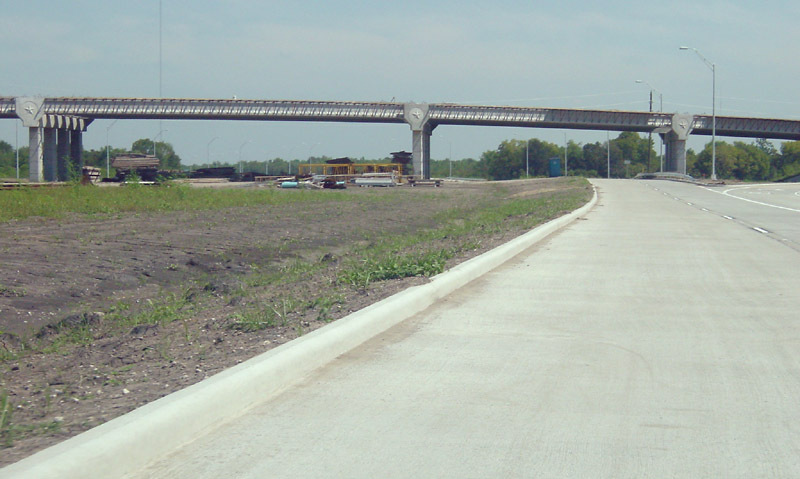 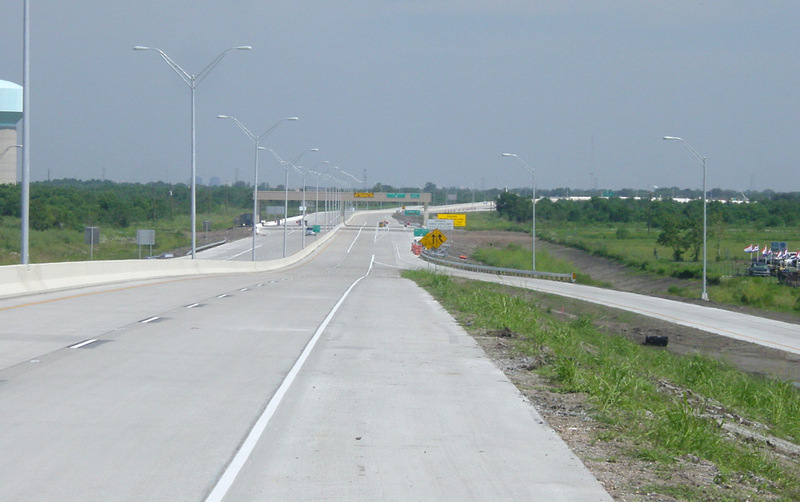 The first section of the Fort Bend Parkway opened on August 30, 2004. 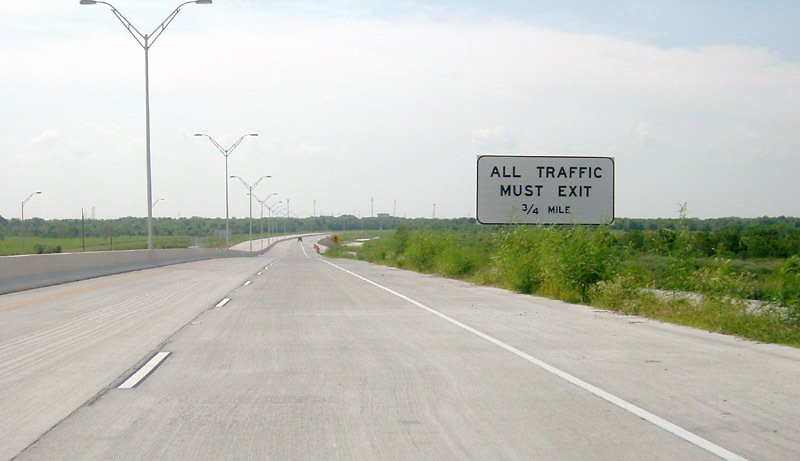 Like the Westpark Tollway, it is very narrow (four lanes total), but it has a much wider right-of-way so it can be expanded if needed in the future, and frontage roads can be added. 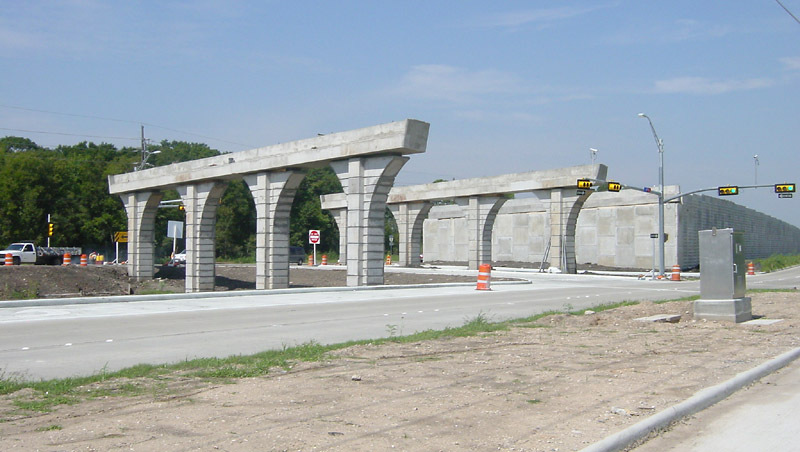 The Westpark Tollway's narrow right-of-way made some interesting structures necessary. 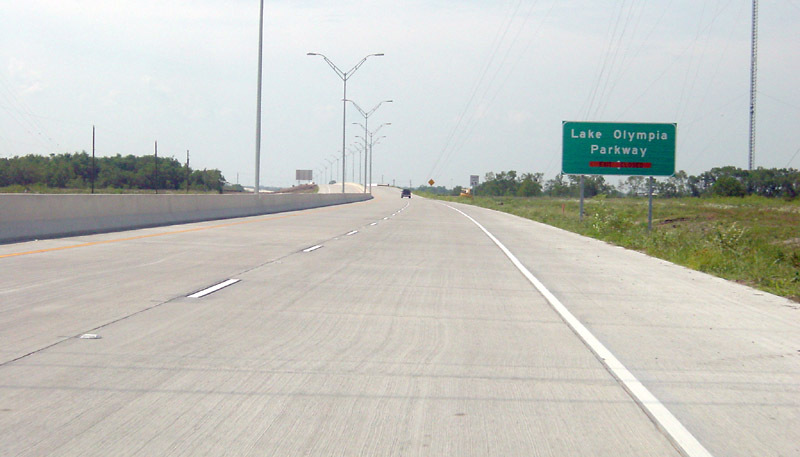 However, the Fort Bend Parkway is very plain-jane due to the availability of plenty of right-of-way. 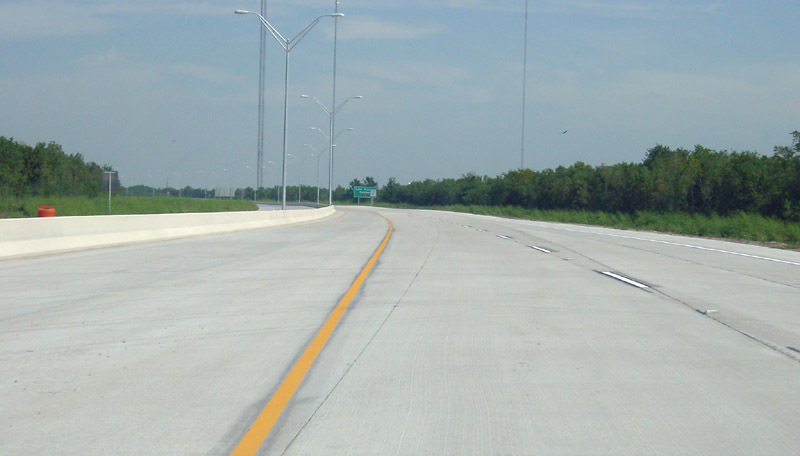 It is just a road through mostly undeveloped land, and could qualify as boring. 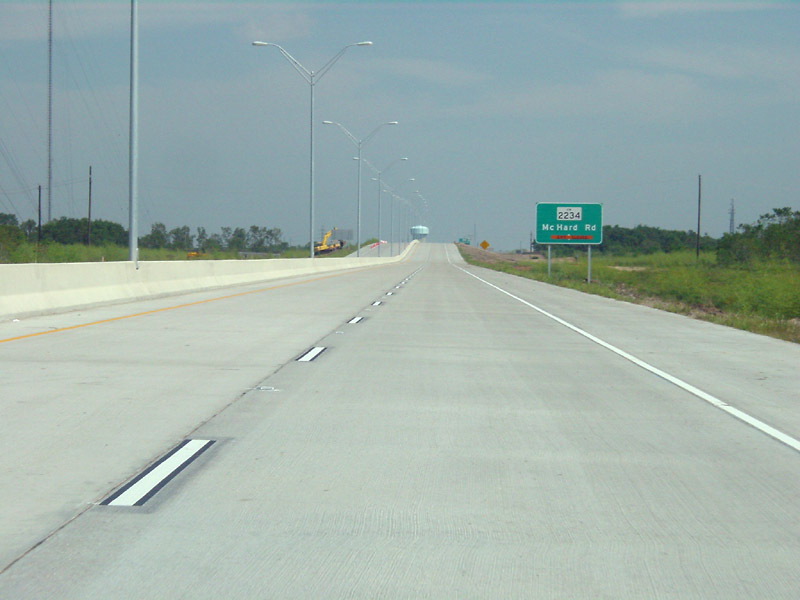 All photos taken September 1, 2004. 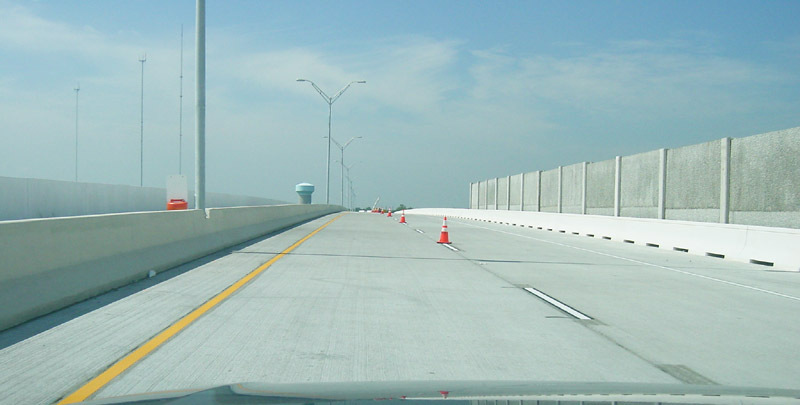 A short section has noise barriers, providing a tunnel-like feel for the narrow tollway. 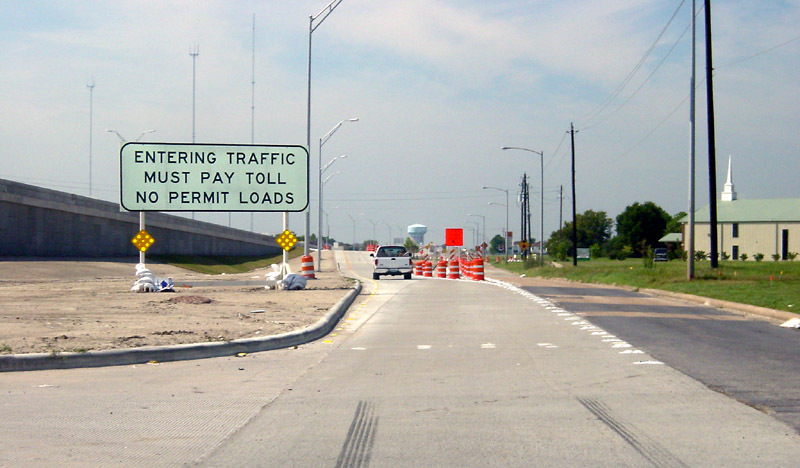 At SH 6, an overpass is underconstruction for the SH 6 through lanes. 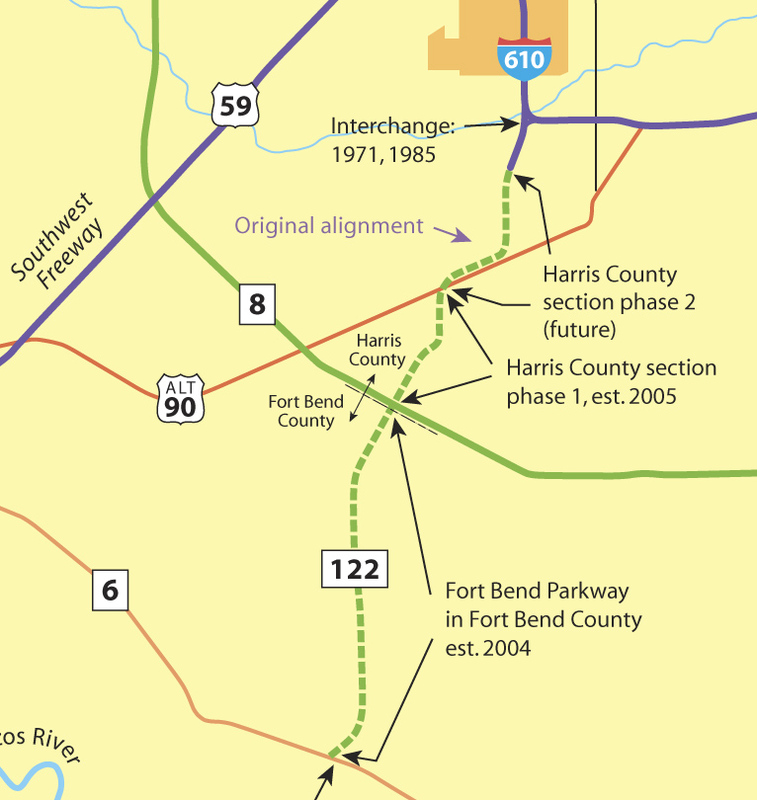 If and when the Fort Bend Parkway tollway is extended southwest, it will be in a trench at this location. 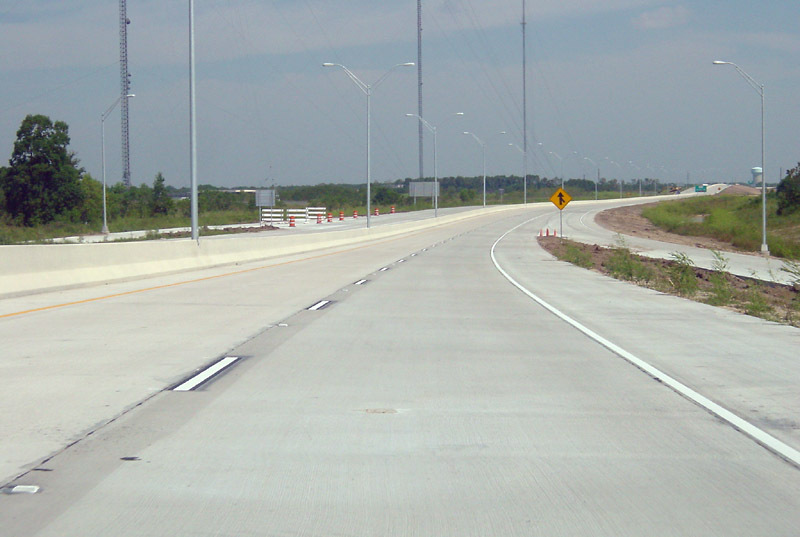 Tramwell-Fresno crosses over the tollway, an unusual design for Houston. 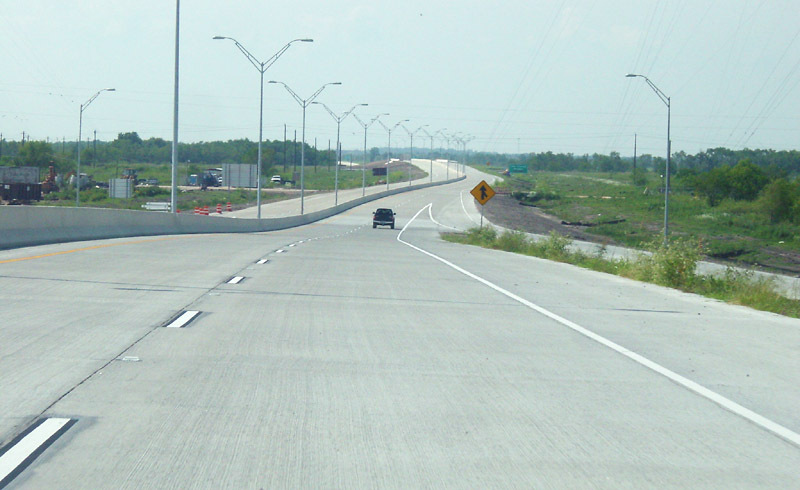 The broadcast antenna farm can be seen ahead. 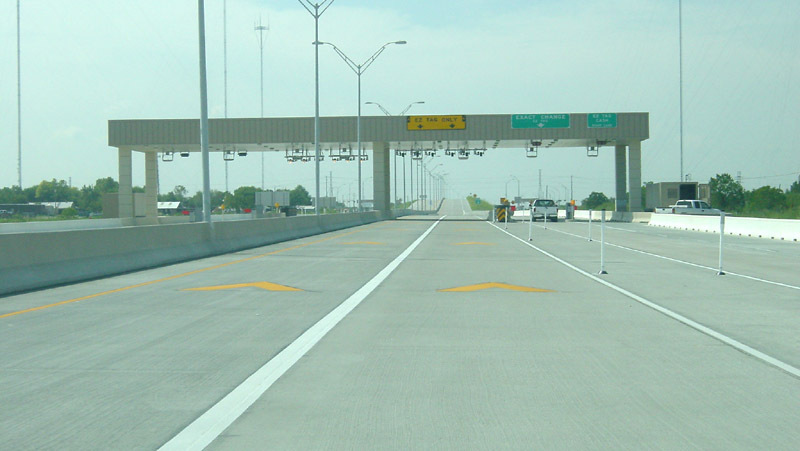 The toll plaza is spartan and is not staffed. 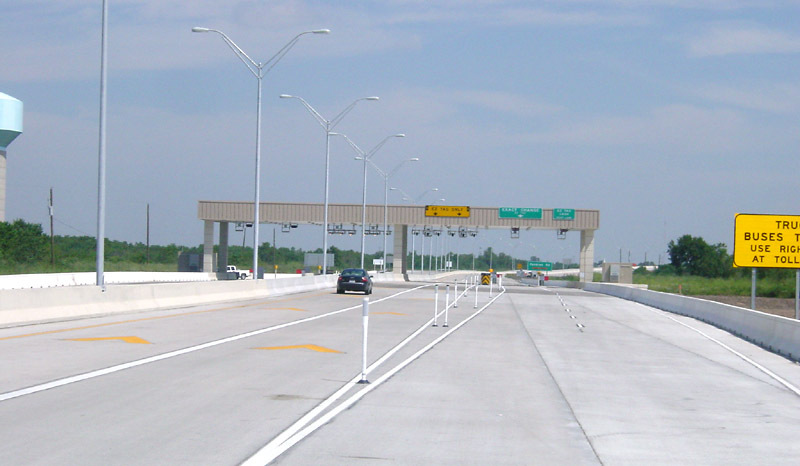 The two non-tolltag lanes have bill changers. 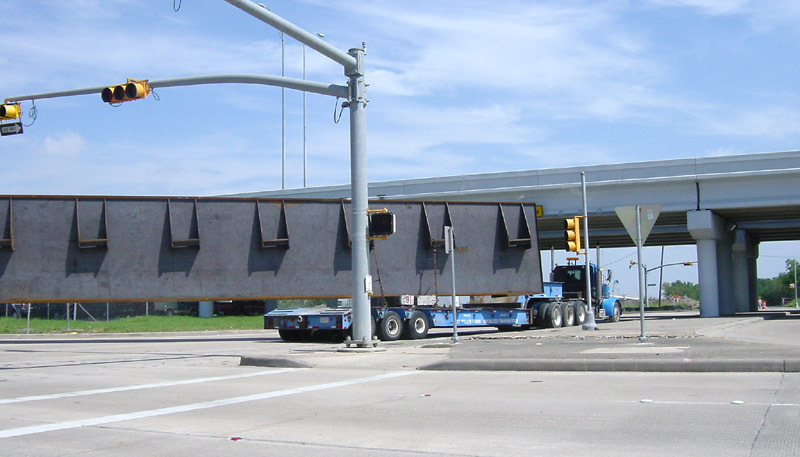 At the northern terminus at Beltway 8, a large steel beam was being manueuvered around the corner for construction work on the north extension.